While unquestionably a blessed event, pregnancy and breastfeeding can leave a woman’s body in a less desirable condition. Often, the only way for a woman to reclaim her former shape is through cosmetic procedures. In addition, most mothers are so busy doing for others, they often ignore the one person who is key to making it all happen: themselves. For women, taking care of oneself has two key components: health and beauty. And both are vitally important. For these selfless women, Wilmington Plastic Surgery presents our Mommy Makeover Services. Even women who exercise regularly and watch what they eat can have fatty deposits that refuse to budge. WPS not only offers traditional liposuction, they offer laser-assisted Smartlipo® and noninvasive CoolSculpting®. With little to no downtime, Smartlipo and CoolSculpting are the perfect solutions for moms on the run.  The most popular plastic surgery procedure in the United States, breast augmentation is safe, effective and a Wilmington Plastic Surgery specialty. Such procedures unquestionably boost self-esteem, too. Especially for women who have had multiple pregnancies, having a flat stomach may seem like an impossible dream. A very skilled surgeon, however, can produce excellent results, not just eliminating excess fat and loose skin, but actually restoring abdominal muscles to flatten the tummy.